On the first Friday of every February, the nation celebrates National Wear Red Day, encouraging men, women, and children everywhere to dress in red in support of women’s heart health. One in three women’s deaths each year are caused by heart disease. Almost 80% of cardiac events can be prevented, and still cardiovascular disease is a woman’s greatest health risk. 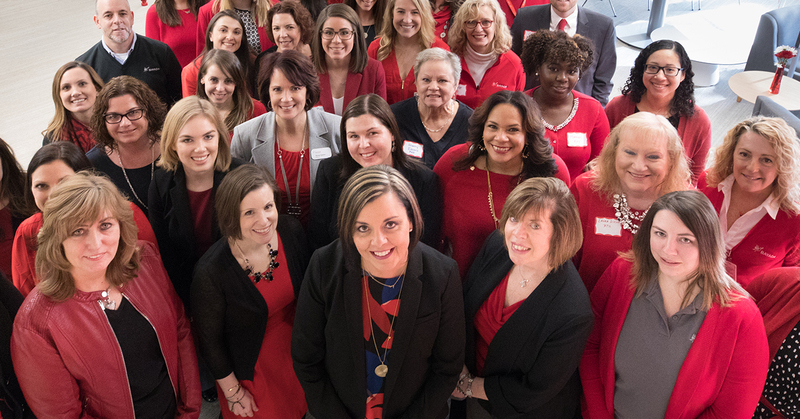 Together as an organization on February 1, we encourage our employees to wear red to raise women’s heart health awareness in an effort to improve lives of women affected by this disease. BAYADA is proud to support and participate in the nationwide wave of red. Help BAYADA commit to better heart health this month and empower those affected by this disease by wearing red on February 1 and coming together to support the cause. Read heart healthy tips from the American Heart Association (AHA) can help you prevent heart disease and live a better quality of life.